A collection of quotes and excerpts with black-and-white art from all seven books in the classic fantasy series The Chronicles of Narnia, The Wisdom of Narnia is a charming compilation of Narnian words of comfort and inspiration that speaks volumes in just 60 pages. 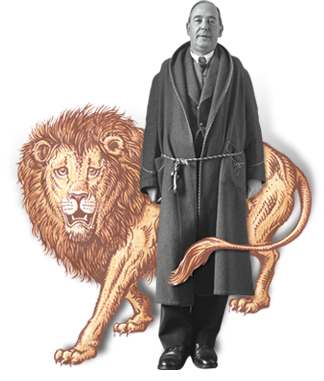 More than sixty years since C. S. Lewis first captivated readers with The Lion, the Witch and the Wardrobe, the characters of The Chronicles of Narnia continue to enchant us with the wit, observations, and truths that have made millions of fans take them to heart for a lifetime. To read Narnians' thoughts about their world is to see deeper into our own. 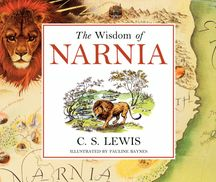 Discover more Narnian wisdom by reading the entire series: The Magician's Nephew; The Lion, the Witch and the Wardrobe; The Horse and His Boy; Prince Caspian; The Voyage of the Dawn Treader; The Silver Chair; and The Last Battle.